On the various scientific and military structures of the United States legends. Their employees do not have the right to share confidential information, but almost every year unexpected stories appear in the media related to employees of various departments. So it happened this time when a woman called one of the radio stations in the USA and told about how her work at NASA went. According to Jackie (this is how the girl introduced herself), she worked for a long time in the space exploration department. There she learned that in 1979, the human foot went to Mars. Of course, it’s impossible to believe information by word or correlate voice and personality, so Jackie’s story should not be considered completely reliable. Jackie said that 6 astronauts visited the planet in the late 70s, but the operation was in the strictest confidence. The scientist had full access to materials and videos from that day. However, immediately after the woman discovered the files, access to them was closed, and all the records soon disappeared forever. It must be said that a flight to Mars even now is a costly and difficult process to perform. While scientists can not tell the date when the first astronauts go to conquer the Red Planet. 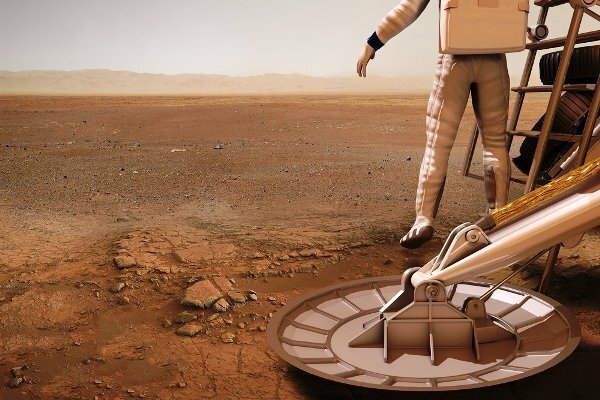 Of course, a large number of rovers and other research ships have long been launched and are successfully operating on Mars, but people are still not going to send people to the planet. There are several main problems why people still have not landed on Mars. First, on a foreign planet, there is a danger of being exposed to radiation, from which the Earth’s magnetic field had previously defended. Also, there is no gravity on the Red Planet. Both factors can cause diseases and astronauts feeling bad. That is why the story told on Jackie’s radio seems unlikely. And what about the conquest of Mars, if the world still did not accept the fact of landing a man on the moon. Many believe that the video where the Americans are stepping on the Earth’s satellite was just a fake. In support of this theory, a lot of evidence is attached: poor-quality videos, low publicity, few interviews and records after the landing on the moon. Of course, we will never know about the reliability of Jackie’s information until NASA itself confirms or disproves it. And this department is famous for its secrecy and not wanting to comment on such statements.